Inventory control is one of the most difficult parts of retail businesses management. However, it is also one of the most important. That is what makes inventory management one of the most dreaded operations tasks for a majority of retail business owners. 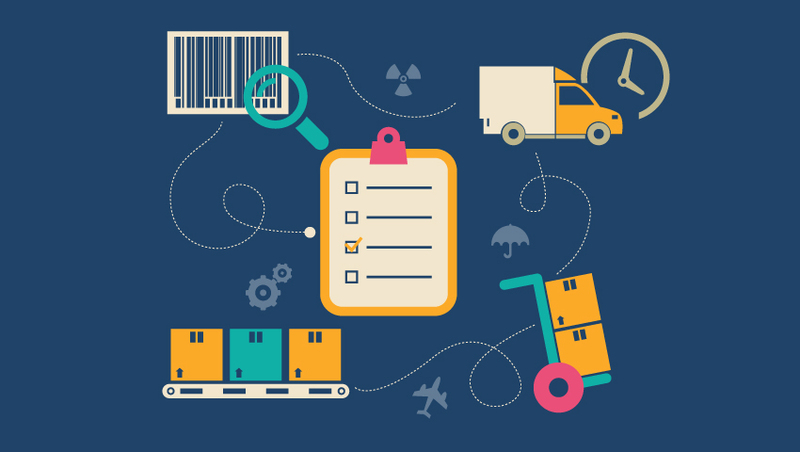 Thankfully, there are several different inventory control techniques that business owners like you can try out to better coordinate and supervise product supply, storage, distribution and recording. Find out the best inventory management strategies to consider below. Dropshipping inventory management is one of the only strategies that entirely eradicates the costs associated with having inventory on hand. Dropshipping agreements allow you to directly transfer orders, including their shipping details, to your manufacturer or wholesaler. Then, they are the ones responsible for shipping the products to your customers. This is obviously an excellent way to save money on inventory costs and improve cash flow management overall. Definitely consider this inventory management technique if you are looking for ways to reduce operations costs without having to entirely redo your office lighting to make it more energy efficient. The just in time inventory management strategy is a risky one to implement if you are unfamiliar with it. However, it can also be incredibly beneficial if you do it well. JIT techniques require the business to have no excess inventory on hand. Instead, you order more inventory when the old stock is just about out. This is obviously risky, as it one brief delay may wind up to products being out of stock. However, it can also lead to lower costs on inventory storage and insurance. If you like living life on the edge, just in time inventory control is a strategy you may want to consider. ABC analysis is short for Always Better Control. It is also sometimes called the Inventory Categorization Method. This technique involves classifying products into three categories, A, B or C. The categories are based on the idea of a product value hierarchy. This way, your business can focus resources on the products that make the most money. Products that are categorized as “A” items are considered priority stock. “B” products are moderate value products, while “C” items are lower value products with high volume. If you put stock in hierarchical approaches, ABC analysis inventory management may be a strategy to consider. Using the minimum stock levels inventory management technique requires business owners to set a minimum stock level. That minimum stock level will indicate a specific re-order point, or ROP, to alert you that you need to bring in more supply. Minimum stock levels strategies can be done manually. However, there are also many inventory management software options, from Salesforce competitors and others, that can automate the process. This is a simple, straightforward inventory control technique that any business owner can adopt for their operations. Material requirements planning inventory control techniques involve ordering inventory after you analyze your sales forecast. MRP systems integrate data from all different areas of business that involve the use of inventory. Then, that data is used along with market demand data to determine when to place orders for new inventory for all products, from big ticket items like a3 printers to low cost, high volume items like staples. If you run a data driven business, MRP inventory control strategies may be the best fit for you. Inventory management best practices can only go so far. What your business really needs to properly manage inventory levels is an inventory control technique that fits your unique business needs. Consider the inventory management techniques highlighted above. These strategies offer a number of different ways to improve cash flow and lower inventory management costs across the board. Find one then works for you. Then, you can enjoy the fruits of your labor and dedicate more time and resources to other areas of business operations that are in need of some optimizations.